I was once trying to import a text list into EAS and I never ever (not even in my wildest dreams) had an idea that ‘Importing a Text List” will make a blog entry. There you go, when you hit “Enter”, the “Import” button will be highlighted. What's the maximum number of items in the list? dbag says "A cell that corresponds to a text measure can have one of a finite list of up to 1024 valid text values." 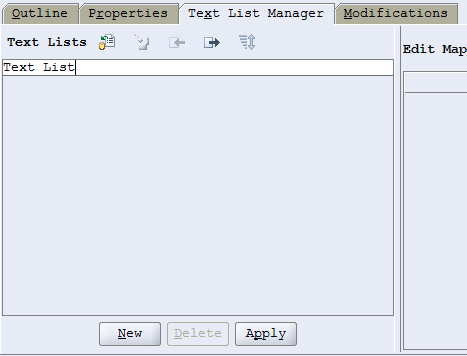 What if, if I have to import the values into the exiting Text List? The above method is working only when I create New TextList. I am not able to import the updated .slt file to the already existing TextList, because the import icon is disabled. It is getting enabled only when you create a new TextList. You'll have to delete the existing one and then import this one. How to export/take a backup of text list? Thanks for the information. I think it is a bug. There is no descripion in the DBAG. There is so much potential in this functionality. It is a pity this is not developed further.